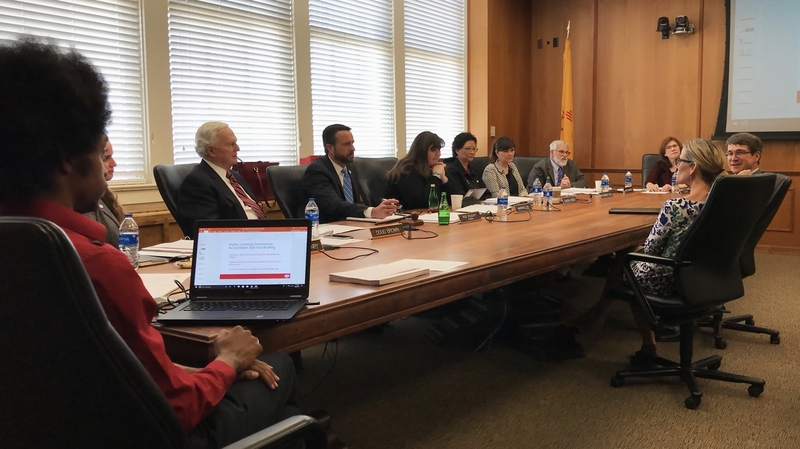 New board officers and committee chairs were elected as part of the full Board of Regents meeting on March 11. Five new Regents were recently nominated by Gov. Michelle Lujan Grisham and confirmed by the State Senate. Sanchez Rael and Schwartz were nominated to six-year terms, while Begay and Brown were nominated to four-year terms. Henry was appointed for two years. Regents Doughty and Lee are serving terms through 2020.